The patient chart is the focal point of patient care; it provides all the vital information in one concise view to allow you to make the best and quickest healthcare decision. Quick view of patient’s current vitals, recent and scheduled appointments, documents, lab results, problem list, current medications, active allergies, immunization chart and recent activity. Access full progress notes of recent visits with single click. 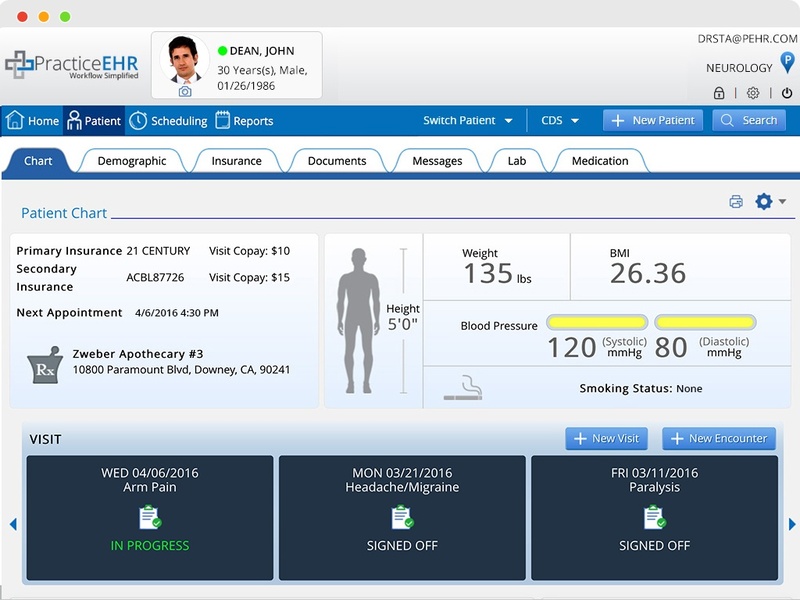 Quickly and easily complete progress notes from single view including social and family health history, and clinical quality management measures. Multiple means of documentation; point and click, free text, and voice recognition. All patient records including demographics, insurance plans, documents, and messages along with lab test ordering and results, and medication management with pharmacy information is just a click away.